Just like every year, the month of Ramadan is here again. What you gain from this month depends completely on you. Every Ramadan, similar to every act of worship holds the same opportunities every time you come across it. However, you can make it different and better for yourself in how you approach this month and the faith and beliefs that you hold deep within you. To start out, you need to ask yourself – Do you want to make it different? What do you expect to get in return? What would you do to make the most of it? If you are a practicing Muslim and if you have not already, you will surely come across many occasions during this month when you will be reminded about the blessings of Ramadan. The gist of those sayings and the underlying teachings and wisdom will primarily focus on the tremendous opportunities that you as a Muslim have at your disposal moment after moment during this month to seek forgiveness and expiation of your sins, and add to your rewards. Yet, despite all these reminders year after year and getting the opportunity to earn so many gains, many of us still do not maximize these opportunities. Instead, if people were told that engaging in certain behaviors could help them in gaining real worldly goods, the situation will reverse and they will surely make the most of it. The potential to earn tangible rewards makes the motivation different and as a result different types of beliefs spring into action. The connection seems more direct between the potential of those tangible earnings and the impact of those earnings to their daily lives. However, when speaking in the context of religious faith, where rewards may not seem as tangible and where the returns may not be as immediate, the motivation and beliefs take on a different turn and therefore the drive to rush toward earning the rewards and the motivation to have our sins forgiven is not as strong as it should be for a number of us. The rewards and punishments do not seem as real. A number of factors influence people’s motivations when it comes to following religious teachings. Here, we will focus on two for now. The first has to with our faith and the second has to do with our understanding regarding the effect of our sins on our lives. Take a quick check of your faith. How seriously do you take the commandments behind the verses of the Quran? What importance do you give to the prophet’s sayings? Is there any hesitation on your part to implement those commandments in your daily lives? Do the rewards promised in the Quran truly excite you and on the same token does the fear of the punishments in the Quran and Hadith prevent you to indulge in more sins? If the answer to all these questions is not a strong “YES”, then it’s time to further renew your faith. The need to strengthen our faith and belief in Allah, belief in is His words in the Quran and the teachings of our Prophet Muhammad (SAWS), is extremely essential. The fact is that stronger our belief and faith, the more seriously we will take the words of Quran and the sayings of the Prophet and the more actively we will strive to make them part of our lives. The good news is that the month of Ramadan provides many opportunities to strengthen our faiths. One of the steps in strengthening our faiths is to consciously recognize the need to do so and to ask Allah to help us in this effort. Allah and prophet recognize the weakness of the human heart in terms of the dwindling faith levels. The prophet said: “Faith wears out in your heart as clothes wear out, so ask Allah to renew the faith in your hearts.” (narrated by al-Haakim in his Mustadrak and al-Tabaraani in his Mu’jam with a saheeh isnaad). Another factor that can help in understanding the blessings of Ramadan and the tremendous opportunities that it holds for us is to understand the nature of “sins” and how our sins – the many that we constantly accumulate by our own actions and deeds – impact us. The better we understand the ghastly nature of our sins, the rate at which we accumulate them, along with their undesirable impact on our daily lives and the hereafter, the more it can propel us away from committing sins in general and the more it will drive us to seek forgiveness for our sins. A person who commits sins sees that things become difficult for him. In any matter that he turns to, he finds the way blocked or he finds it difficult. By the same token, for the one who fears Allah, things are made easy for him. Sin breeds sin until it dominates a person and he cannot escape from it. Sin weakens a person’s willpower. It gradually strengthens his will to commit sin and weakens his will to repent until there is no will in his heart to repent at all… so he seeks forgiveness and expresses repentance, but it is merely words on the lips, like the repentance of the liars, whose hearts are still determined to commit sin and persist in it. This is one of the most serious diseases that is likely to lead to doom. He becomes desensitized and no longer find sins abhorrent, so it becomes his habit, and he is not bothered if people see him committing the sin or talk about him. So, we can easily see that by engaging in sins, we are not only making the prospects of our after life (integral part of Islamic faith) bleak but sins can greatly and actively contribute to the difficulties of our daily lives. Whether we encounter challenges in earning a living, in our family affairs, or other matters of life, the burden of sins greatly inhibits us from seeking the ultimate blessings of Allah and to have the potential of leading a good life in this world and the hereafter. Similarly, once we see the connection of how expiation of sins can potentially help us in this life and next, we can better understand the dire need to seek forgiveness from Allah. Who would want to stay entangled in the web of challenges of this life and the potential to be punished in the hereafter? Even a little faith can help us see this connection and the better we strengthen our faiths, the more we will strive to rid ourselves from the burden of sins. Based on how sins can have a detrimental effect on our lives, just imagine the impact that your life will have if all your sins were forgiven. What more would you need if Allah specifically chose you and forgave your sins? What more would you need when as a result of a reduced burdens of your sins, you have better chances of more provision (rizq) in this life? What more would you need if because of His blessings, Allah could help you by reducing your worldly complications? What more would you need if in the judgment day you have the potential to stand in front of Allah with fewer loads of sins? Coming back to Ramadan, you and I again have that opportunity this month. It’s all about how you plan to avail of that opportunity. As is obvious from the hadith that was mentioned earlier, the two things that you require are (1) Sincere faith and (2) Hoping to attain Allah’s rewards. Get a level check of those two factors in your heart and you will see changes in your life for the better. So, align your focus and activities toward Allah this Ramadan in a way that you can remember it after it passes. Once you truly engage in Ramadan and the worship in Ramadan the way the prophet had wanted all of us to do, you will make your Ramadan truly memorable. Let’s not forget that Sahaba used to specifically pray after Ramadan for 6 months praying to Allah that their prayers and good deeds in Ramadan were accepted. Just imagine – their Ramadan was memorable enough to make a mark in their lives for them to remember and pray for it for 6 full months! One wonders what would have been the levels of their engagement with Allah (driven through the energy of their hearts and soul) that would make the impact so long lasting. I sincerely pray that Allah provides all of us the ability and the guidance to maximize the benefits of Ramadan. 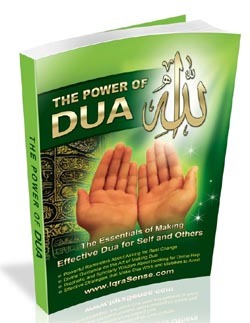 Along the same lines, as we pray for each other, please do not forget to pray for the contributors at IqraSense.com. Finally, during this blessed month, do not hesitate to share your thoughts and knowledge about this special month with everyone. Scroll to the end of this page and contribute your thoughts. Alhamdulillah, jazakallah for the reminder……May Allah keep us on the right path and forgive us all. Ameen. Great article. Do publish more and more. Jazakk Allahu khairen. Thanks for the article, it realy remind me of important value of life..please post more. Asante! From the Edge of Africa. Thanks for your supportive role this month of Rammadan. May Allah be with you. I AM ALREADY TRYING MY BEST TO BE ON THE RIGHT PATH, BUT YOUR REMINDER HAS BROUGHT TEARS IN MY EYES, WITH THE FEAR OF ALLAH SUBHANAHU WA T`ALAH. MAY ALLAH GIVE US ALL THE TAUFEEQ TO DO THE “TAUBA” AND FORGIVE OUR SINS. ps: Please keep up the good work – May Allah reward you for this good deed in this world and in the hereafter. Ameen. thank you for this piece of advise and reminder, may Almighty Allah in is infinite mercy and knowledge grant you more wisdom and understanding. We ask for his forgiveness and mercy. guidance and wisdom to live a good and prosperous life. Amen. Thank you for the article, it is really a good one. Publish more of that. I was really moved by these special words in your website. 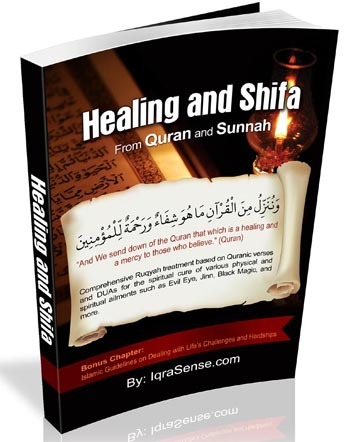 I pray Allah for the contributors in iqrasense.com to give them ability to post many such beautiful articles and make others benefit from them. This is the most beautiful article I have read in the recent years. You have explained the things in depth, May Allah bless your team. May Allah give us wisdom to understand and strength to act upon it. don’t miss out this great article! it is a reminder for us to awake ourself and try to get full benefits from this ramadan! May Allah forgive us….. Thanks for the reminder.All of us need someone to remind us of things basic which we tend to forget. May the Almighty Allah (SWT) reward you for this great work. Salam. Jazak Allah for your efforts. It is very helpful for our life, it is really great article. May ALLAH give you more knowledge. Brother it was soothing to hear Nasheed’s Hamd .I really appreciate that you all remember to share this site .Jazakalla.I hope Ramadan will give us all that i desire.The first thing to go for Umrah with my kids and husband.But right now we couldn’t afford the ticket.But what i need all is to pray hard to get there .Inshallah this is the only motto of my life.Assalamualaikum. Alhamdulillah! It is important to remind ourselves that the first objective of Ramadan is to develop God consciousness [taqwa] and to control our self-consciousness [the ego]. Al humdulillha it is very knowledge able artice. Brother its really the perfect reminder for us to get the chance of purify our souls, jazakalla. It would be nice if we can get some guidelines of how we can make this ramadaan different by quoting hadith of our prophet (PBUH). I’m praying to Allah to make Iqra’s effort success and praying for me that Allah gives me chance to help by donation to such organization. Alhamdulillah summa Alhamdulillah that Allah gave me chance read and understand that how precious the Ramadan is by this article. Jazah Allahu khair. It is a profound message for me. It reminds me to continuously to ask forgiveness from our Almighty Allah. May Allah forgive our sins in what ever form. Ameen. SubhanAllah!!! indeed amazing, may ALLAH SWT. guide all the ummah to the Straight Path. JazakAllahkhair for the Iqra bloggers. I know this month means so much more than people think it does, and your article really does put things into perspective. I pray evryday for Allah to forgive me for my sins and the help not to obtain anymore of them. Thanks a lot for the reminder and Inshallah Ramadan Kareem to everyone. Jazaakah Allah Kheiran the articles is great and at the right time. May Allah Keeps us on the right path and helps us to improve on our faith. This gives me great pleasure to say that I registered my self with IqraSense.com because as we are busy in our life and this is the site which give us timely reminder and take us to the real life, I hope such a reminder will help us to change our life from the wrong path to the right and we may take forgiveness from our Allmighty Allah Subhanwatala (Ameen). May the Almighty bless you for this instructive article.May the Creator accept our prayers and forgive us our sins. It was so nice that i never heared in the past. Assalaam Aleiykum & Ramadhan Kareem! This is a beautiful article and it has touched my heart with sincerity and a renewed experience in faith.I would pray to remember Ramadhan after 6months like our Sahabas had done as it seems so beautiful just thinking of it and we see how our lives have been so taken up in pursuing Zero’s to make a livelihood that we tend to forget things in a matter of days.I pray for all the Muslims in the world to have Immense Iman like all the Sahabas had during the good and trying times with our beloved Prophet Muhammed (SAW) Ameen. Love u all and may we be guided in a Straight Path! Allah is great!. He has given us another chance to come closer to him.So i advice all my brothers and sisters to not to forget any good deeds. 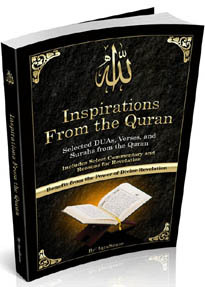 Jazakallah khair, hope to read it further .may the blessings of Allah be with u n all of us . Your contribution to Islam is realy great. It is only ALLAH that would reward you immensely. I always look forward to reading articles from you which I share with my muslim brothers. Jazah Allahu khair. Ramadhan Kareem. Jazakh Allah! May forgive our sins and make a place in Jannat & grant us FERDAWS. Let us take full advantage of RAMADAN. Ramadaan Mubarak to each and everyone of you. Grant you Imaan and Taqwa to fulfill the obligation of this holy month. May your Ibadaat be accepted and all your Duaas answered. its a great article thanx for reminding of the great benefits of ramadan and value of life..
may Allah forgive all our sins and we all emerge out to be a better n purified person..
may the Creator accept our prayers..
May Allah have mercy on all the Muslim Ummah and May Allah reward you and us in this month of Ramadan. As SalamAlaikum, this is really a fantastic article. A delight to read. Kindly keep up the good work by reminding us especially that we can easily get carried away by the way of the world today. May ALLAH grant all humans the blessings and rewards of Ramadan. May He forgive us our wrongdoings and touch our hearts. May ALLAH bless you too for the time you take to remind us.You shall be blessed for the good work. Ameen. Salaam. Thank you for the article. May Allah SWT shower his mercy on us all. Ramadan Mubarak. Alhamdulillahi Rabb’al Allamin.I really dont know what to say but this is the best message that will ever be sent to a brother or sister in Islam. its rich and very inspireing and spiritually uplifting. it touch something deep in my soul and moved the very dept of my faith. I thank you and pray that we all get the hassanat of this holy month and may Allah shower all his ummah with guidance and blessings and may we continue this Ibadah tru out our lives and may Allah be proud of us as a nation. May Allah continue to reward you for this and other efforts. If, indeed we fail to take full benefit of this ramadan, then it is only Allah that knows if we will witness the next one and that is why your reminder is most precious. May Allah forgive us and keep us on the path to salvation. over a long period of time i keep on asking myself some of these questions. today my mind rests because i have got the answer from your invaluable website. i thank Allah for letting me find you and pray you continue your good work according to Allah’s will. i hope to share this piece of information with all my friends both muslims and non-muslims alike.thank you iqrasense for the knowledge you have imparted in me this day. It is very very true that we must fear Allah and ask for forgiveness night and day. The article is very beneficial and helpful also. Pray that we all have a very profitable ramadan speciallty to have good health. Ramadaan Mubarak to ALL MY BROTHERS AND SISTERS IN ISLAM. JazakallahKhair for the wonderful artical.. may Allah Ta’alah make it all easy for all of us Aameen.and…. May Allah Ta’alah accept all our ibadaat, duaas,and Rozas in this blessed month Aameen. May Allah Ta’alah open his floodgates of Rahmat and Barakat and may our faces be filled and shine with noor. May Allah Ta’alah have mercy on us all, for He is the best of those that grants mercy,and may Allah Ta’alah forgive all our sins- past , future and present for he is the best of Forgivers. May Allah Ta’alah grant each one of us the courage and strength and ability to make the most of Ramadaan Karim. May we always remain steadfast , May Allah bless us with hidayat , so much guidance and keep us steadfast in all virtues so that we make the most of Ramadaan and may He shower his mercy upon us to acquire the main object of fasting, Taqwa, Piety and total obedience and all that is for pleasing ONLY Allah Ta’alah;and may we all have strength to complete Ramadaan and may we take full advantage of this time, now ,and for the rest of our lives , May we always grow with Him, and gain so much proximity and nearness to Allah Ta’alah. This world is a tillage for the Aakirah – May this be the perfect and best Ramadaan for us to sow for the Aakirah Aameen.Aameem, Aameen, Aameen. Ramadaan Mubarak – Wasalaam Tasnim. Jazakallahu Khairan! We all need to be constantly remindede of these simple things that we always take for granted. May the almighty Allah continue to bless and guide in the right direction, ameen. Alhamdulillah and many Jazakumllah! This is a powerful reminder for those of us who are a little slack in an act of IBADAH. Yes, the month of Forgiveness and Blessing is here again, we pray the Allah (SW) grant us the knowledge, zeal, wisdom to meet our obligations during this SPECIAL MONTH OF RAMADAN. May Allah Subhanahu Wata’ala accept our Ibadat, forgive our sins and give us the best of what we could request from him, for he knows the best. Allahumma Salli ala Muhammadin Wa sallim! ask forgiveness from our Almighty Allah. Take care of the poor in my ummah. My dear brothers and sisters in Islam, if we are fiancially capable let us help the underprivileged and less privileged in our society, if we are not financially well atleast let us help their children learn. Teach them good morales, teach them their school lessons so that they become good citizens. May Almighty Allah shower His blessings on all of us and also bless us with what we “really deserve”. My dear brothers and sisters,for the sake of Allah and in this holy month of ramadan,forward this mail to all muslims on your contact list and print further for wider distribution,its a reminder for us all. Masha Allah this was really helpful. May Allah reward you! it is encouraging haven access to this very educative website. May Almigthy Allah reward your effort. i am christian. i deeply belive that for all of us is only one God. i learn alot from this article, about the way we must live our lives and the importance of the deep faith. I respect your religion, your belives its an example for me and i know that Ramdan its the most special moment in every muslim life, a moment of peace. a moment that must remind all of us that we must tourn our face to God, to Allah. Thank you very much for such a mervellous article. May Allah grant us all the blessings of ramadan and may Allah forgive our sins. Once again thanks for the article and may Allah grant you the knowledge and ability to continue produsing more of these articles. 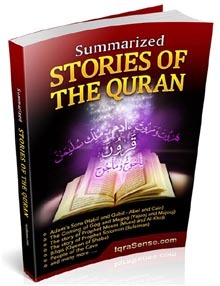 I think one of the greatest things to happen to the muslim ummah is Iqrasense.com.Honestly,i am saying this because your articles espercially during ramadan is inspiring and educative.I hope you keep up the good work. Iqra organizers deserve praise for the ramadan article you published this week. Every Ramadan should be time to reflect, repent and make changes for the better. We must always strive to make our life conform with what Allah (swa) & the Prophet (pbuh) wants us to be. Continue to write and publish more of this inspiring encouraging articles on Islam to make us better Muslims. Ramadan Karim! This is my second Ramadan. The first was in the US and now I am in Egypt. VERY different… however, as I am in the beginning stages of learning all about Islam, this helped me tremendously understand more of what Ramadan is truly. Thank you for taking the time to give to others in this way. Your words are heartfelt and very inspirational. Thank you for the reminder. May Almighty Allah bless you and reward you with Aljanna Firdawz. May Allah accept all our ibaadah during this holy month of Ramadan. Maasalam. So many thanks for this reminder……. 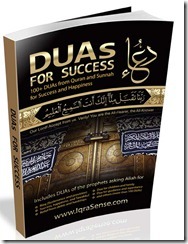 thank you and may Allah reward you all in IqraSense.com. Please always up date me with article. May Allah in his infinite mercy bless you all and grant you and yu progeny forgiveness, this kind of articles keep all souls awake.We pray Allah to grant us the strenth to seek his forgiveness. Al-hamdulillahi rabil al-ameen,for He alone is the only One that can give you the wisdon to publish such an article by this rightful time because it’s not that we brothers and sisters in Islam does not know all this but when was the last time we applied it,it has skipped our memory,may the Almighty Allah continue to grant you the wisdom to carry on this as the lives of millions of people across the world are getting better by yor article. jazakom allaho khayran it is a very good article. Thanks a lot Iqrasense team. Masha Allah this article which was writen on Ramadan Al Mubarak is very knowledgeful. Shukran jazakallah kheir, May Allah accept our saum, forgive our sins and guide us all the straight way. Please read Quran In this month as much as you can because Allah grants sawab for every verse,pls try to under stand and follow every verse for which the sawab is un countable. May Allah grant Taufeeq to eveery muslim tofollow the Islam. Jazah Allahu khair. Your reminder came at a good time–while I was comparing universities, thinking about the rankings, and hoping to make good choices. In such calculations, looking for benefit, we look for cause and effect in a limited way—using, for example, statistics and rankings—of this world. Yes, we try to make sound decisions in this life, yet, as you remind us, one can mess up a life, worldly advantages, and supposedly good choices. In a western culture, it is easy to slip into basing most of one’s hopes on being careful, smart and whatever else, while forgetting the source of all hope and benefit, God. If we lose our way, then what is the gain? Worldly rankings and statistics use equations that don’t factor in an important variable: sin. And there’s no factoring for God. Such calculations claim to offer smart choices, but none of them can determine what we may truly realize in our life (which doesn’t end after we die). We must pray to God for guiding us and for allowing us to benefit. Thanks to God, we have been prescribed so many guiding practices, such as fasting during Ramadan. We can remember God and pray for the perspective, discernment, hope and benefit, insha allah. Thank you may almighty Allah accept our fasting and any other muslem that went through this article, more grease to your elbow Amen. may ALLAH be with you. WE pray ALLAH to grant us the strength to seek his forgivness..
Alhamdulillah,may Almighty Allah richly bless you and reward you all more and more for your contributions and eye opening. I thank you so much,words cannot explain how happy I am. These are the things I always want to be reminded of and you are doing exactly that. May Allah reward and reward you,Ameen. Actually,my Dad introduced me to this website,please add him in your prayers for me,he is a great person who has helped me lead a decent life. If I am to continue,I will lack words. Allah knows best.Wassalaamu Alaikum warah-matullahi ta’alaa wa barkatuhu. and do remember every musilm in your Dua..
All the team of Iqrasence, and all the Muslim Brothern and sisters. I have gone through a very informative article sent by you through mail. This is refreshed all the my feelings about Ramzanul Mubarik. the Muslim Brothers and Sisters in particular. in Saudi Arabia and in Mecca / Madina. “Only in the remembrance of Allah can the heart find peace”. Suratul Ar-Ra’d;28. “Allah does not wrong people in any way rather it is people who wrong themselves”. Surah Yunus:44. “Richness is not in plenty of provision, the (real) richness is the richness of the soul” – Al – Bukhari & Muslim. Ramadan Kareen! I have immensely benefited islamically from this website. May Amighty Allah increase you abundantly in knowledge as you increase ours in your website. AND SISTERS TO READ THEM. TO THE IQRASENSE BLOGGER – YOU HAVE HAVE DONE AN EXCELLENT JOB. Mashallah, a thought provoking, thoughtful and elaborate narration.I wish and pray we understood it in true spirit, act upon it and qualified for allah’s mercy for the whole Muslim fraternity which is in shambles worldwide.I hail from Asia but am presently in Aferica–hell of a difference in practices here and there.Some very absurd practices here. I wish we muslims could have a joint plateform to discuss issues and resolve them in the light of Quran and/or Sunnah.They, may say there are such arrangements but they r not effective,vibrant.An Annual or biannual Islamic sumit in our holiest place inviting written papers,screening them and filtering those for presentation and then resolving by concensus. Its an interesting article. Jaza kallahu khairan. Assalamu-Alaikum and Ramadan Mubarak to you all . Glory,Thanks and Praises be to Allah-Lord of the world!I thank you for the reminder and may Allah reward you,’Amin!’May Allah (SWT) give us the ability to walk on the right path! Amin. asalamu alaikum all muslims and ramadan mubarak…this was indeed a beautiful article which can increase faith of every believer.and i realised the importance of this blessed month..may Allah reward you with good…. asalamu alikum!Ramadan mubarak to all!this is really a heart touching article if we ponder on it ….but my advice to all my muslim brothers and sisters is that we should try to renew our faith and do righteous deeds even after ramadan..ramadan should not be an emotional drive only for one month.may Allah accept our prayers and forgive all our sins so that we may prosper…. May all of you @ IqraSence.com have successful Ramadan and many blessings for keeping all reminded of our tawheed, informed and enlightened of Islam. This website is not only for the believers but also the non believers whom are seeking knowledge. I ask all to make dua for me that Allah(saw) strengthens my deen to make dua for all that may be hesitant about taking their shahada. Salam Alaikum my Muslim Brothers and sisters. When i read this article. it did bring tears to my eyes. I found it very useful, inspiring and motivational. Of course we pray to Allah every blessed day, but how close we are to him, is another matter. the signs that you enumerated about knowing when one is close to Allah are indeed true. I have seen practical difficulties in my life, that Only Allah’s infinite mercy has come to my aid, at my most desperate moment. Thus, it is imperative that we Muslims respond to this aricles in very positive ways, not just in thought but in actions and behavior. The life of a Muslim is but a life of reflection, if only we keep that in mind all the time. Thank you Iqra sense for this wonderful contribution. May Allah bless this effort, Ameen. hi thanks a lot for the wonderful article, may Allah bless and guide us at all times. thanks for the article.its reminds me of so many wonderful things in our holy religion,Islam.may Allah accept our fast. May Allah accept our action as act of ibadat. If only we all know why we’re muslims worldly affair will be less important expecially in the month of Ramadan. It is really a good article. Thanks for reminding us of our responsibilities and faith. Millions of thanks from the bottom of my heart. May Allah c.c. bless all muslims. I am quite happy reading this article on ramadan,very timely indeed. May Allah reward with aljanna amin. MAY ALLAH REWARDS YOU ABUNDANTLY, DUE TO THE NATURE OF MY WORK, I HAVE BEEN UN ABLE TO GO TO ARABIC SCHOOL BUT FOR THIS ARTICLE AM ALWAYS READING BY GOD’S GRACE AM IMPROVING IN KNOWLEDGE ABOUT ISLAM MAY ALLAH BLESS YOU. I express my heartiest gratefulness for such a wonderful article on this precious month of Ramadan. Every prayer we say are dedicated on the interest of pleasing ALLAH , we fast to please ALLAH and therefore to make the most use this Holly month such an article is like a blessing. May ALLAH Showers HIS Blessings on all of us. May we all get to enter into Jannat. May ALLAH FUfill our good wishes. May we all be nice and live our life not only for ourselves but also for our family and others , and help people around us ,whoever needs to be helped and do everything and anything to please ALLAH. Thanks alot, may Allah reward your website aboundantly. this article is mashallah vey nice and good! straight path. Amen. Thx pls post more and more articles of such kinds. May Allah bless you and accept your duaas and forgive all your sins. As Salaamu Alaikum Wa Rahamtullahi Ta’ala Wa Barakatu. Jazaakallaahu khairan wa hamdu lillah. I think the article is a wonderful piece which appeals to one’s Iman in making more sacrifice for this diyn of Allah (swt) especially taking this great aamal of fasting as a shield which will protect us in our graves and beyond in sha Allah. Alhamdu Lillah! All praises are due to Allah for sparing our lives to have witness this ramadan. The article is indeed timely and a must read for ‘every’ muslim. May Allah enlighten the minds of all who read this nasheed to reflect and strive towards reviving the faith(ameen). May Allah’s promises in ramadan be fulfilled on our lives(ameen). May Allah The most Exalted reward you for your overall advices. Also may He accept from us. AMEEN. It is a nice write up may Almigty Good reward you abunduntly. this is indeed a great reminder and motivator for all the muslims to refresh their faith during this ramazan mubarik. i beg everyone who visit this site please do pray for my forgivness during your precious prayers of this holy month. This is a good articles in which support the muslims ummah to remind them. We have to review what we are doing between our self ,others and Almighty Allah, so we have to work hard in every thing in our life time. May Allah help us to giude. May Allah bless you. Assalamualaikum waramatullahi wea barakatuh!Thank you jazakallah for the article. May Allah SWT shower his mercy on us all. shar-e-kareem;Ramadan Mubarak. May the Amighty Allah reward all those who have committed themselves into the spreading of His messages to mankind. Your articles defined the weakness of the human mind as an inpediment to attaining the optimal spiritual height in our closeness to Allah. This ramadan period is always a way out to apease Allah in doing the right things as ordained by Him, for His guidiance and forgiveness. If not the weakness of the human mind, Allah has shown us the clear signs and the right ways, so that our spiritual momentum should transcend into all the months and year round. May we be counted among those on the RIGHT side of the Almighty Allah, Amen. u guys r really doing a great job in spreading the truth and trying to keep us on straight path . thank you for the message. may allah be with u and help u . assalamu alaikum. Ramadn kareem , outstanding deed ,our almighty God reward you, forgive our sins,bless our fasting &guid us towards right deeds. Ameen. THANKS ALOT FOR YOUR ARTICLE MAY ALLAH REWARD YOU ABUNDANTLY AND MAY HE ANSWER ALL YOUR DUAS. ALLAHUMA AMEEN! Keep up the good work and be blessed. JAZAKUMULLAH BI KHAYR. MAY ALLAH IN HIS INFINITE MERCY COUNT US AMOUNG THOSE HE PROMISE JANNAH IN THIS BLESSED MONTH. MAY HE INCREASE OUR TAQWA,SABR,IMAAN,IHSAN BI RAHMATIKA YA ARHAMAR RAHIMIN. Nothing is as refreshing as when a muslim brother or sisiter reminds you of your religious obligations. Mighty thanks for this wonderful contribution. May Almighty Allah reward you with answered prayers. As you use this medium to educate muslims, may Allah SWT remember you all. muslims, as we are, must develop the interest of learning and reciting the Holy Quran especially during this blessing month of Ramadan; for this is the very month in which this Holy Quran was revealed. may Allah (SWT) help us all to do this so as to reap the benefits therein. wassalamu alaikum warahmatullah wabarakatuh. thank you for this piece of advise and reminder, I really enjoy it. may Almighty Allah in is infinite mercy and knowledge grant you more wisdom and understanding. We ask for his forgiveness and mercy. guidance and wisdom to live a good and prosperous life. Amen. Mashallah, a thought provoking, thoughtful and elaborate narration.I wish and pray we understood it in true spirit, act upon it and qualified for allah’s mercy for the whole Muslim fraternity which is in shambles worldwide.I hail from Ethiopia Some very absurd practices here. I wish we muslims could have a joint plateform to discuss issues and resolve them in the light of Quran and/or Sunnah.They, may say there are such arrangements but they r not effective,vibrant.An Annual or biannual Islamic sumit in our holiest place inviting written papers,screening them and filtering those for presentation and then resolving by concensus. Tabarakallah for your efforts. ISLAM IS ALWAYS BEST RELIGION.